Dole's very nice PR people contacted me recently and asked me to share a new, great contest with my readers. I love the Dole fruit bowls because they're easy to pack for lunches and are a great snack anytime for me and my kids! I especially love the parfait bowls, but my kids prefer the plain fruit bowls. At 80 calories or less, they're healthy and a great way to get more fruit into our diet. 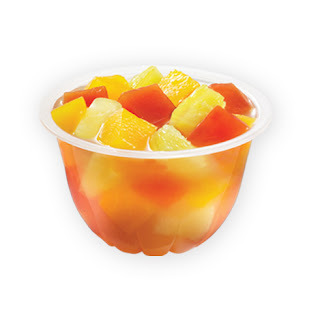 Share how you enjoy Dole Fruit Bowls and earn a chance to win $300! Share the site with your friends and earn a chance to win $1,000! New winners every week until early October, 2009!